High pressure will create rain-free conditions Saturday. Temperatures will continue to warm up with highs reaching the upper 80s under mostly sunny skies. There is a low risk of rip currents. Another warm day is in store for Sunday, with highs in the upper 80s. Humidity will increase and skies will be mostly sunny. Temperatures will remain warm all week. Highs will be in the mid to upper 80s each afternoon. 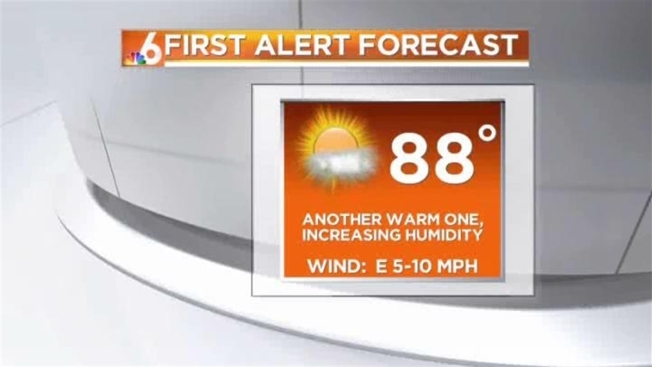 Expect mostly sunny days and increasing humidity levels. There is a chance of isolated showers and storms at the end of the work week.